Parliaments are often considered weak actors in international politics. Even in the few areas of foreign policy in which parliaments possess decision-making power at all governments usually have considerable leverage over them. International negotiations are a case in point. International agreements are worked out in a „two-level game“, in which government negotiates at two tables at the same time: the international table, where the agreement text is hammered out; and the domestic table, at which the agreement needs to be ratified. Government can strategically use its position at both tables. 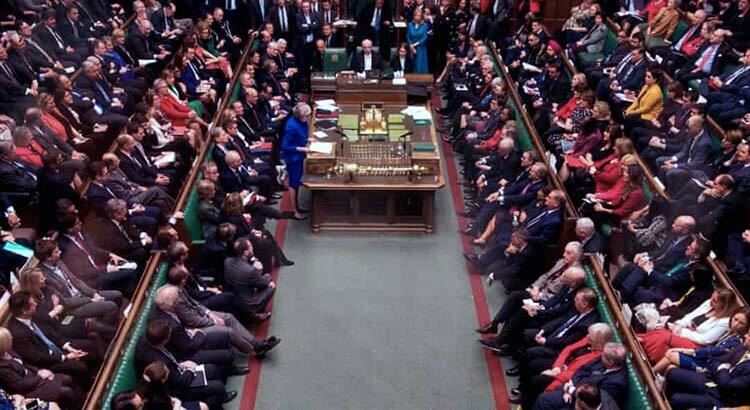 Internationally, it can complain about parliamentary constraints at home and argue that it needs concessions from its negotiation partners to satisfy members of parliament (MPs). When it brings an international deal home, it can argue vis-à-vis parliament that no better deal was available and that rejecting it would undermine the national interest. Extract concessions internationally and then present the agreement at home as fait accompli was also the strategy that Theresa May’s government used in the Brexit process. However, it backfired considerably. The Brexit debacle holds important lessons about the limitations of this strategy. The two-level-game scenario crucially hinges on one point: that ending up with no agreement at all is a credible deterrent at both tables. Internationally, concessions can be extracted by threatening a deal’s failure in parliament. Domestically, opposition can be overcome by insisting that no alternative deal is available. Yet the Brexit experience shows that this threat does not always work. At both tables, May’s government was confronted with players that were willing to stomach a „no deal“ scenario. In the EU, key players were determined to make exiting from the EU as unattractive as possible – even if that would prove costly for the EU too. In the House of Commons, some key players are so single-mindedly devoted to one goal that they are willing to accept Britain crashing out of the EU without a deal if they only can achieve this goal. Hard Brexiteers in the Conservative Party, organized in the European Research Group (ERG), desperately want to sever ties to the EU for good. The Democratic Unionist Party (DUP), which supports May as a prime minister, wants to prevent any special status for Northern Ireland which could suggest the region is not an integral part of the UK. Both groups would rather exit from the EU without a deal than compromise on their position. Hence they can hardly be disciplined by threatening a no-deal scenario. This undermines the strategy of simply pressuring MPs into agreement. However, it does not make it impossible to achieve ratification for an agreement. While Theresa May certainly was dealt a bad hand, she also played it poorly by giving the ERG and the DUP the central role they craved for. In terms of negotiating strategy, there is simple advice for a situation such as this. If there are actors with extreme positions that you cannot bring on board for an agreement, isolate them and create a majority around them. May’s government never seriously applied this strategy. There is a majority in the House of Commons for not leaving the EU without a deal. However, this is a majority that crosses party lines. It includes moderate Tories and Labour MPs (especially from districts that have voted Leave in the referendum). And many Remainers from all parties could be persuaded that staying in the EU is not a realistic option any more so that leaving with some deal at all is the next best option. However, this virtual majority needs to be organized to turn it into an actual majority for any particular deal. Instead of doing so and isolating the hardliners in her own party and in the DUP, however, Theresa May relied on them and attempted to appease them, misjudging their appetite for a no-deal Brexit. Organizing a majority that transcends party lines certainly is a risky endeavor. It would have risked Tory support for May’s prime ministership and it would have needed cooperation from individual Labour MPs, whose own party leader, Jeremy Corbyn, is intent more on strengthening his party than securing a deal with the EU. However, appeals to national unity and to overcoming political conflict are most likely to succeed under extraordinary circumstances and Brexit most certainly presents an extraordinary challenge for the UK. A strategy of building trans-party consensus could well have resonated with large parts of the British population had it been embraced right after the divisive referendum campaign. It had even more appeal after the 2017 elections produced a hung parliament, in which no single party commands a majority. Finally, one of the problems in organizing a parliamentary majority was government’s inability to narrow down the range of options to just two. MPs and the public kept discussing, and pursuing, a host of options, including not only the actual Withdrawal Agreement but also different forms of softer Brexit, revoking the UK’s exit from the EU altogether, a second referendum, leaving without a deal. As a consequence, none of these options achieved the backing of a majority. To be fair, Theresa May almost desperately tried to narrow down the options to three: „this deal (…) or no deal; or no Brexit at all“. But this was never accepted, neither in parliament nor in the wider public discourse. This is why the Commons eventually took matters in its own hands by attempting to narrow down options in a series of „indicative votes“. Again, the early involvement of opponents would have helped tremendously. May’s insistence she had to deliver on what the British people wanted, ignoring the 48.1 percent that had voted Remain in the referendum, made it extremely difficult for her to appear as more than just another partisan voice in the debate. Forging broader coalitions from the beginning for solutions that have a chance to find agreement from the EU, and isolating extreme positions within the UK would also have helped to set the terms of the debate. Overall, the Brexit fiasco serves as a reminder that parliaments can be spoilers in international negotiations. A government with a slim majority needs to assess, from the start, whether the hardliners among its supporters are willing to let any internationally feasible agreement fail. If the material costs of failure are difficult to pin down and the ideological costs of an agreement are high, there is a real danger of failure. In such cases it will be better to forge broader coalitions and isolate the hardliners from the beginning. Theresa May obviously misjudged her leverage over both the EU and the hardliners in her own party and in the DUP. Building larger majorities from the beginning would have been better advice. Of course, this is a challenging task. It requires political leadership that, one may argue, is sorely missing in the UK these days. It is also a risky task. For May, it may have lead to the end of her prime ministership and to a split in the Conservative party. There was a reason why David Cameron famously hummed a merry tune right after resigning in the wake of the Brexit referendum. The task of implementing the referendum result was incredibly tough and the odds of coming up with a solution that would unify the country were low to begin with. But this doesn’t mean it could not have been tried. 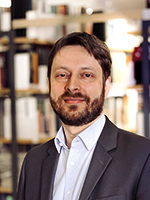 Dirk Peters ist wissenschaftlicher Mitarbeiter der HSFK im Programmbereich Internationale Institutionen. Seine Forschungsschwerpunkte sind EU-Sicherheitspolitik und die sicherheitspolitische Rolle von Parlamenten.